Successful branding begins with the target market customer, by identifying the specific niche or sub-niche the product or service will satisfy. All other branding decisions flow from that identification. 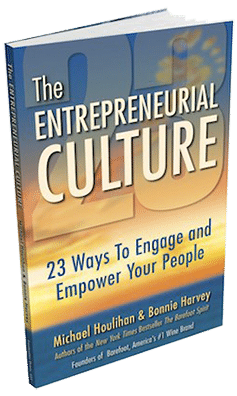 The logo, the slogan, the packaging, where a company advertises and the images it uses, all need to be designed based on that customer’s needs, wants, and habits. 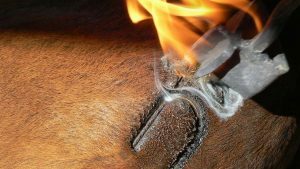 Branding originated, of course, with the cattle rancher’s branding iron. Branding was never about the cow. The cow was the product; the brand was a symbol representing the owner of the cow. Steve Jobs was a branding master – right down to the packaging of the box the Apple iPad came in and how it felt in the customer’s hands. He was forever sensitive to his customers’ perceptions and expectations. Jobs understood branding definition very well. He knew that “branding” is an action word — an adverb, a gerund, like riding or running. And like riding or running, successful branding requires ongoing action, an action ideally based on tremendous sensitivity to customer feedback. The reach of the customer on branding needs to extend beyond its logo down to the design of the product itself. 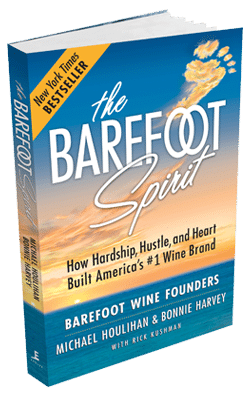 When we first introduced Barefoot Wine, the customer exerted more influence on branding than did its own industry. The logo we chose (the foot) and the style we used for marketing (entertaining) were contrary to the conventions of the wine industry at the time, but our customers found them appealing. Barefoot Wine made a statement of fun and recreation that our customers wanted in an everyday wine product. Once a company goes into the market with a brand it built, after a few generations, that brand wants to respond to the needs of the customer by making slight variations to it, but gradually – evolution not revolution. This is true in all the top companies: Wal-Mart, Apple, Procter & Gamble, Dell, Microsoft, GE, Starbucks, Johnson & Johnson, Google, and IBM. Branding in each of these companies is constantly evolving based on feedback from the market. The number-one rule in retail is “Don’t aggravate your customer by making drastic changes in your logo and/or packaging”. Coca Cola tried and had to go back to “classic” Coca Cola. Reinventing branding at Starbucks has been the ongoing thrust of Howard Schultz, chairman and CEO of Starbucks to 2017. Since the company brewed its first Grande Latté in 1971, he’s constantly looked to customer feedback to guide his company. For example, in some of Starbucks’ international markets, the company sold teas called “Starbucks Coffee Tea” – a label that confused consumers, so in March of 2011, Starbucks eliminated the word “coffee” from its name. This cleared up ambiguity in all of the company’s non-coffee products. As Starbucks, Apple, Wal-Mart, and so many successful brands know, companies don’t build a brand for the market. Great branding begins with the customer. In our experience, branding designers who recognize this are most successful. It popular these days to put your brand on promotional items whether it’s T-shirts, baseball caps, or bags. Marketers are constantly looking for new places to get eyeballs on their logos. 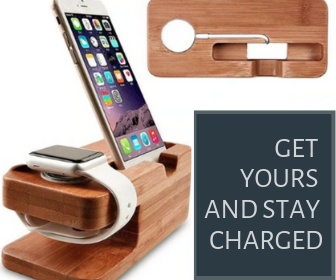 You’ll often hear the term, “Great Branding” used to complement the application of a corporate brand logo on these types of items. This type of branding is really about applying a brand image to something in the hopes it will be seen. We use this form of “branding” at Barefoot and found it to be very effective, but we discovered something that was contrary to industry practices that really helped us get our brand out there. The whole idea of branding giveaway items is to get impressions and eyeballs. Why would you put your brand on a cheap T-shirt that only lasts for a few washes? Sure, the company will save money by buying cheap T-shirts. The T-shirt vendors will even use that as a selling point. But people don’t want to wear cheap T-shirts and they won’t stand up to multiple washings anyway. We found it was more cost-effective to put our logo on well-made caps and T-shirts because they would get worn more often. Hence, they would get seen more often. 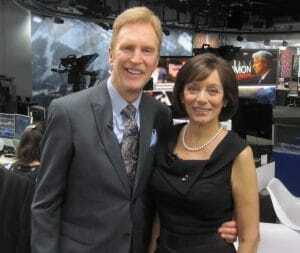 In other words, we were getting more impressions for the buck! Now everybody is branding pens. But, for the most part, their cheap pens. They skip, they break, they run out, and you wind up trashing them. Is this “great branding”? We don’t think so. This is a very shortsighted corporate view of branding whereby the whole idea of getting the most eyeballs and impressions takes the back seat to how cheap they can buy the products. It seems counterproductive to have someone cussing out your pen when they’re in the middle of signing a check. Your logo is the last thing they see before they trash it! Some brands have become so powerful that they actually charge clothing manufacturers for the application and use of their logos. Now this, is “great branding’. The clothes our higher-quality, will last longer, and get worn more often, and it doesn’t cost, it pays all the way around. This definition of branding assumes that the brand is already created, and its logo can be readily applied. Let’s go back, to the original definition of branding where we are actually creating a brand identity and communicate a brand message. Let’s see how it applies to brand image, positioning, and equity. Brand Image. How does your customer see your brand? Brand image is multifaceted. Most people think of brand image as the logo, but there’s much more to brand image than just a design. Brand image includes the perception that your prospects and customers have of your brand, your branded products, and their experience with them. It also includes customer service and the public reputation of your company and corporate brand. As far as the logo is concerned, your customer must understand it, resonate with it, and recognize it. That means it must be simple, clear, and concise. It should have something to do with your name, your product, or some benefit your customer will enjoy from using your brand. Your name is also part of your branding. So, choose a name that is easy to remember and don’t make it more than three syllables. Ideally, your name and your logo should complement each other to reinforce your brand in your customers memory. Your customer’s expectations about your brand are also part of your branding. Once they have tried your brand it’s their own personal customer experience that’s guiding their image of your brand. This is why excellent customer service is so important to your brand image. These days, the latest trend in branding is brand story, the story behind the brand. The brand story is important but can’t hold a candle to quality, value, accessibility and dependability. The story helps the customer remember the brand, what it stands for, and generally puts a face on the brand. Brand Positioning. How does your brand compare to other brands? Every CPG branded product winds up being sold in a specific category. These categories were established before you created your brand and they have to do with how the retail world manages the thousands of items they have for sale. They are collectively called category management. Brands that disrupt the market by identifying and creating new categories face an uphill battle to get retailers to create a new category just for their brand. Oftentimes they get stuck in a category which actually hurts their brand identity and confuses their message. For instance, when we started Barefoot, there was no category for non-vintage wine. It took us years to convince the buyers that it would sell without vintage date. Price is by far the largest determining factor in positioning your brand. Sure, you can run all kinds of television and social networking adds showing upscale people enjoying your brand, but it is the price of your branded product that is the deciding factor in the customer’s decision to purchase. Once you exceed the velocity price point (the price at which most branded products sell in your category), the slower the sales. Brand positioning by price point is challenging from many standpoints. First and foremost, there is the stigma that “nothing cheap can be good”. As we found out, trying to give customers a deal was an uphill battle. It took us years to convince the market that we had high value at a low price. Some brands actually raise their prices to position themselves as higher quality. But again, that move can cost them volume. Then there’s the challenge of actually achieving the price point you want when the final decisions may be being made by others in the distribution chain, such as distributors or retailers. This is why it’s important to understand and provide the margins that everybody wants between you and the customer. We highly recommend working backwards from the shelf price where you want to position your brand to discover what your FOB must be. Another interesting aspect of positioning by price is the “Rule of 99.” Simply stated, most customers perceive prices like $4.00 as being a whole lot more expensive than $3.99, even though it’s only one cent more. Over the years retailers play with prices like $3.97 or $3.88 to make the price look even more substantially less than four dollars. Brand builders would be wise to understand the pricing policies of their retailers, so they can achieve their desired price point without leaving any money on the table. Brand Equity Positioning. How many customers do you have? We like to say, “Everybody wants to milk the cow. Nobody wants to raise the calf!” When it comes to positioning your brand, your sales strength sends a message to distributors, brokers, retailers, and even customers. Your reputation for sales precedes you. It can be the reason why distributors choose to carry your brand and why retailers authorize sales of your brand. When you’re new and unknown it’s difficult to gain access to the market. You have no proven success. Distributors and retailers don’t want to take a chance on a new brand, and they certainly don’t want to build a new brand. This is why we recommend that brand builders start small and focus on what it takes to gain the reputation of being a “Hot Mover”, if only in a few initial stores. 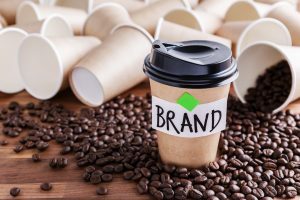 The idea that your brand will sell on its merits, its packaging, its label, it’s logo, its price, or its quality is just not so, at least not at the beginning. New brand builders must practice constant vigilance in the marketplace to make sure their brand is priced right, displayed properly, has the appropriate marketing materials, and stays in stock. This type of merchandise and oversight is absolutely necessary to position your brand as a hot mover. If you can demonstrate happy retailers and an aggressive rate of growth the next buyer will be more likely to put you in. It may take years to develop the following you need to be in demand, but your reputation as “the latest thing” and “the new up and comer” will certainly open some doors. Brand equity is simply the value and strength of your customer base. In brand acquisition, it is one of the top considerations for strategic acquirers. The good news for startups is that brand equity is not just a chart of accounts or even a volume alone, it’s also a rate of growth. Many retail tracking services compare brands within categories based on their rate of growth year on year and even quarter on quarter. That makes it possible to get buyers attention with relatively small numbers, but increasing rapidly over time. Large established brands are quick to use their brand equity to position themselves in such a way that retailers must carry their brand. They have a universal demand in stores that don’t carry them would be missing the boat. So, branding today has lots of definitions and implications. These are just a few. But all of them are focused on the same goal, identifying with, attracting, and keeping their target market.